The theme was "Transformation towards sustainable and resilient societies". #HLPF4Water - Join the Campaign ! #HLPF4Water is meant as a collective campaign, giving tools for the international water community's voice to be heard throughout the HLPF event and beyond. It is composed of a #HLPF4Water "key figures" kit, available in English and French for free download. This includes 13 short videos (30 seconds) on a variety of subjects linked to water (sanitation, pollution, cities, energy, biodiversity, etc) calling for action during the HLPF. Banners are also available. 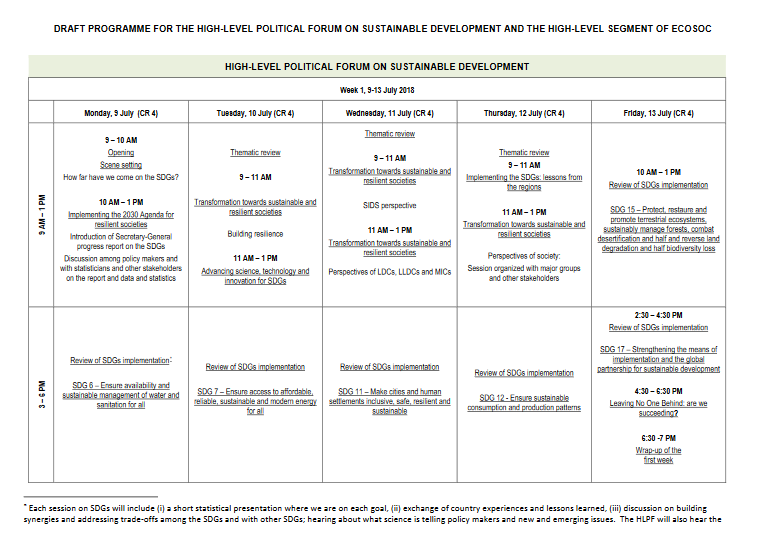 The campaign starts today and will be carried out on Twitter until the 18th of July, end of the HLPF.